The CID sleuths arrested two more directors of AgriGold and produced them in district principal sessions judge court, here on Friday.The CID team led by additional SP (Rajahmundry) T Harikrishna arrested Avva Udaya Bhaskar and Avva Subrahmanyeswara Sarma in Hyderabad and brought them to Eluru. After clinical tests, they were produced before principal district sessions judge G Suneetha, who sent the accused to judicial remand for 15 days. 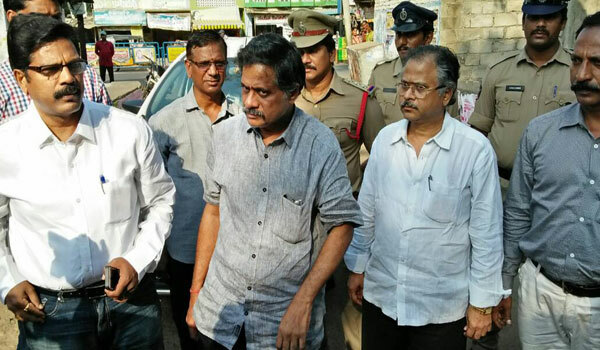 The arrested were brothers of AgriGold chairman Avva Venkata Rama Rao. Additional SP Harikrishna told the media that the two directors who were arrested were key persons in the case. He stated that they were speeding up investigation under leadership of CID chief Dwaraka Tirumala Rao and IPS officer Gajarao Bhupal, who was acting as investigating officer. “So far 10 cases have been registered across the state and 11 persons arrested,” he stated.